A stunning exploration of the subtle erosion of freedom in an age of concocted fear and de facto military authority. When we think of a military coup, the first image that comes to mind is a general, standing at a podium with a flag behind him, declaring the deposing of elected leaders and the institution of martial law. 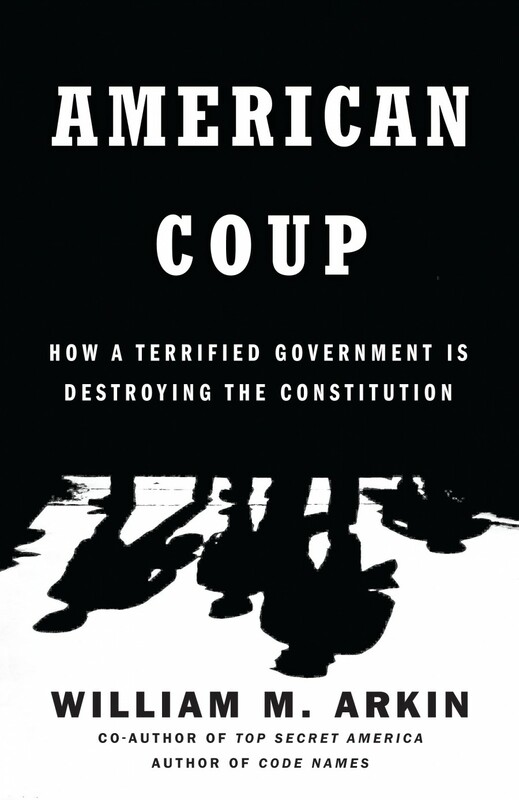 In AMERICAN COUP, William Arkin reveals the desk-bound takeover of the highest reaches of government by a coterie of “grey men” of the national security establishment. Operating between the lines of the Constitution this powerful and unelected group fights to save the nation from “terror” and weapons of mass destruction while at the same time modifying and undermining the very essence of the country. Many books are written about secrecy, surveillance, and government law-breaking; none so powerfully expose the truth of everyday life in this state of war.